“First time I ever saw an Afghan Police Station I thought it was something straight out of the dark ages, complete with zero electricity, mud structure, and no sewage drainage. Immediately I knew this mission would be challenging and wondered what the heck I got myself into?” This quote from a U.S. Army Captain is just one example of the unusually blunt assessments contained in the Joint Center for International Security Force Assistance (JCISFA) guide for advising the Afghan National Police (ANP). 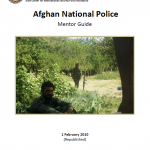 The 2010 version of the JCISFA ANP Mentor Guide, which was obtained by Public Intelligence along with a guide for troops assisting the Afghan National Army (ANA), contains a number of revealing observations on the often poor condition of Afghan National Security Forces, in particular the ANP. This handbook is written for you, the embedded training team (ETT) member. Traditionally, this mission was reserved for Special Forces’ units or teams. With the revision of Army Field Manual 3.0, Operations, this is now a mission for general purpose forces. The Army has not yet officially designated one organization or agency as the ETT proponent; therefore, information concerning TTs circulates at all levels. This handbook has been vetted by the Joint Center for International Security Forces Assistance, 1st Infantry Division, Combined Security Transition Command-Afghanistan, and the Center for Army Lessons Learned Integration Network. Task Force Phoenix has been working in partnership with other nations in training the Afghan Uniformed Police. Civilian Mentor Teams are mentoring senior police leadership at the Kabul police academy. The U.S. is providing basic training courses at a central training facility in Kabul and eight Regional Training Centers in other provinces. More than 62,000 members of the Afghan Uniformed Police, Afghan National Auxiliary Police, and Border Police have completed Police Academy Training programs at U.S. facilities. 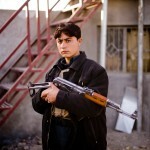 Over 12,000 have also completed more advanced training courses in specialized areas such as firearms, crowd control, investigative techniques, and domestic violence. In the past year, the Task Force Phoenix has enhanced the Afghan National Police training program with over 200 Mobile training teams and advisors around the country. 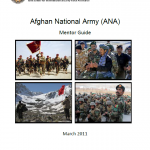 An October 18, 2011 update prepared by NATO Training Mission Afghanistan (NTM-A) to COMISAF regarding the Afghan National Security Forces (ANSF) current status and way-ahead as the Afghans prepare to take the lead.